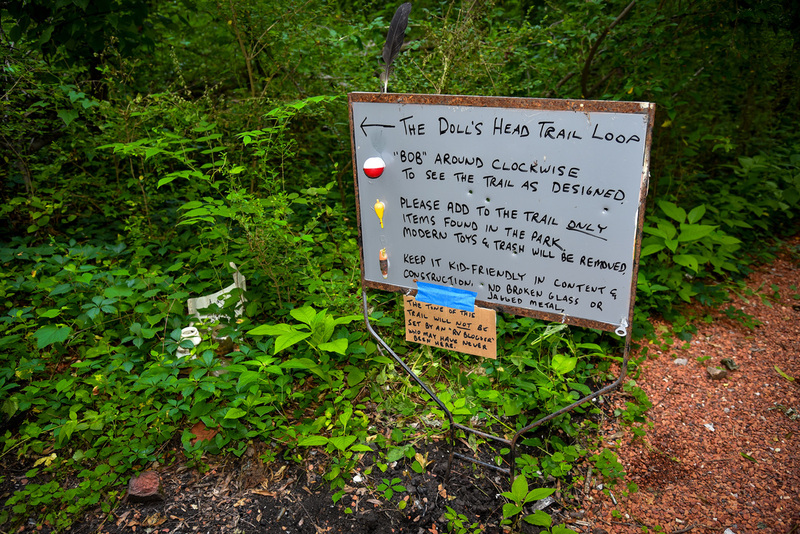 Sometimes creepy, sometimes beautiful, sometimes thought-provoking, always intriguing, this trail is one of a kind. 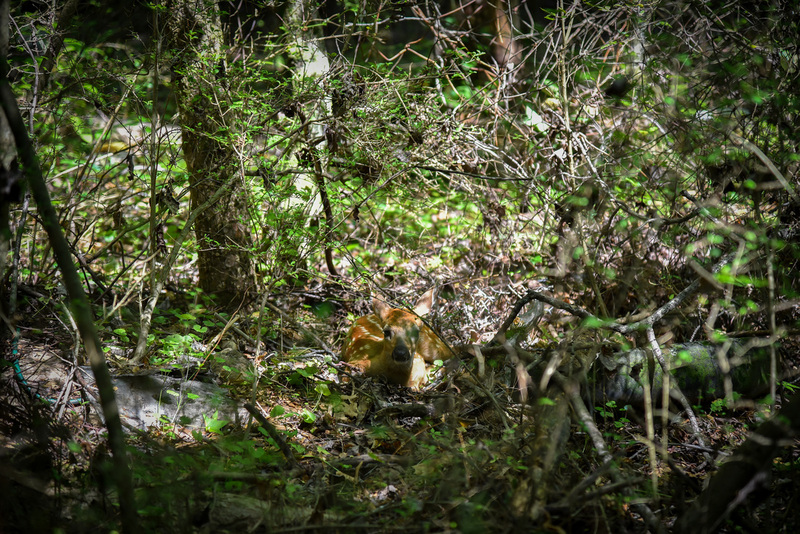 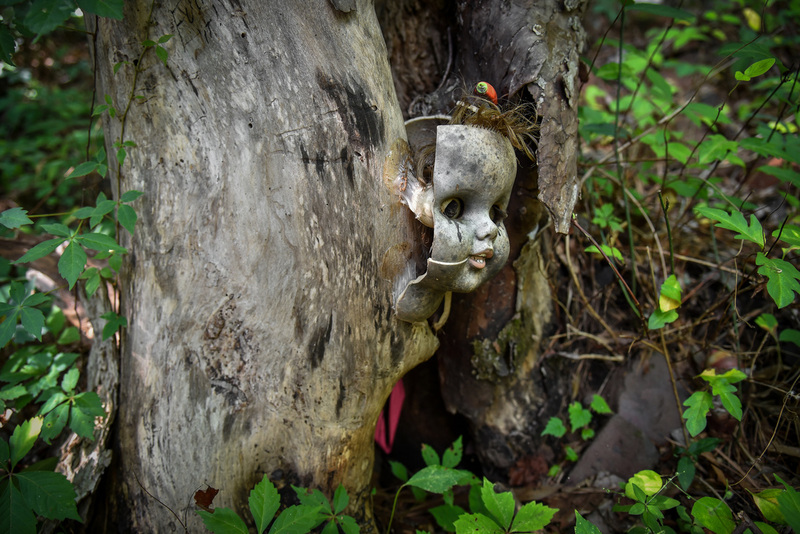 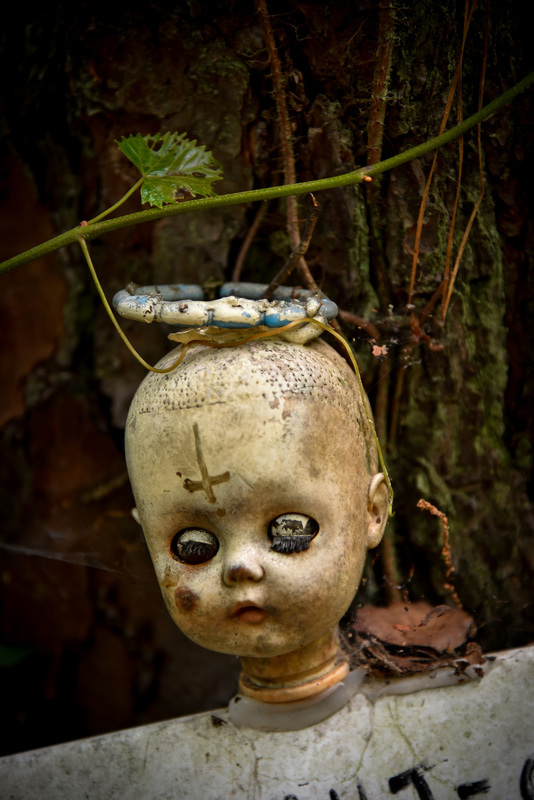 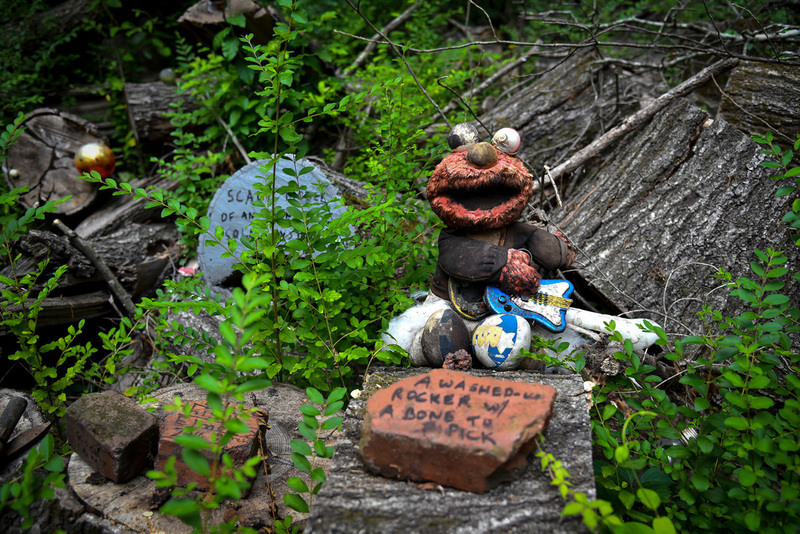 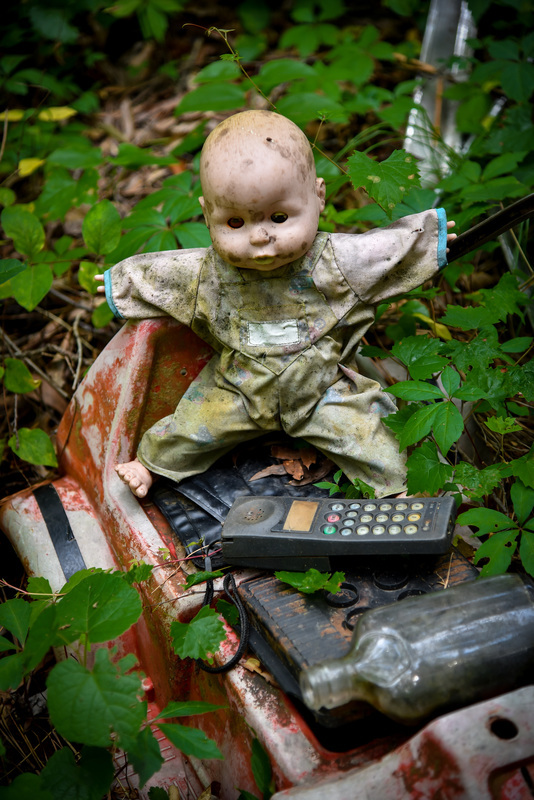 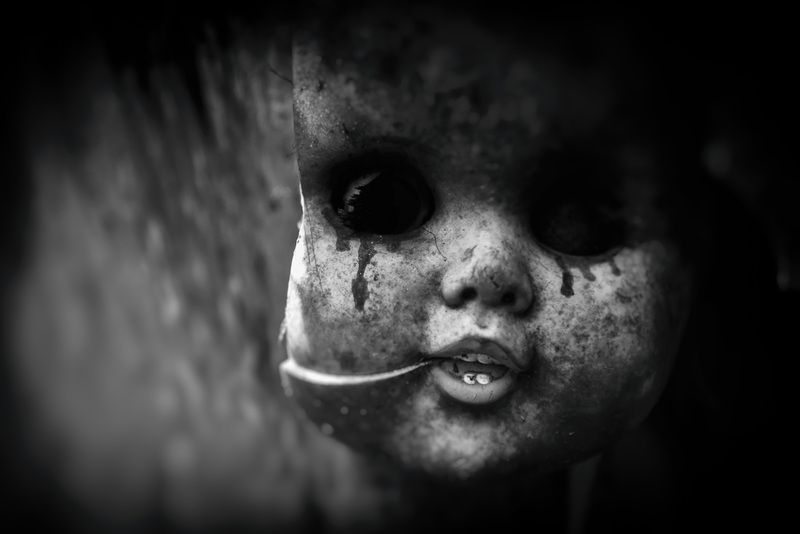 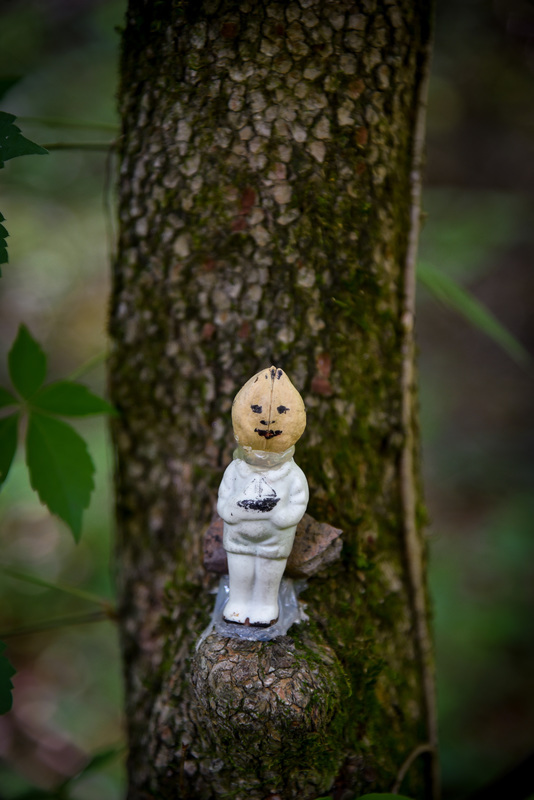 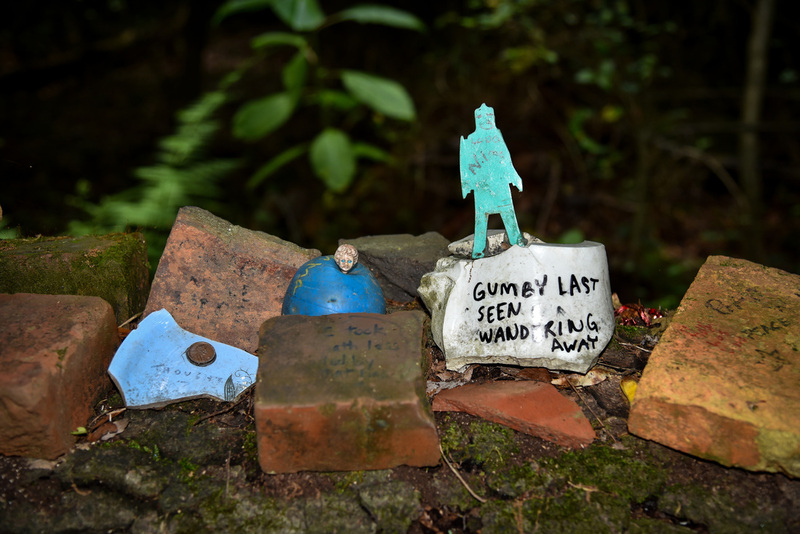 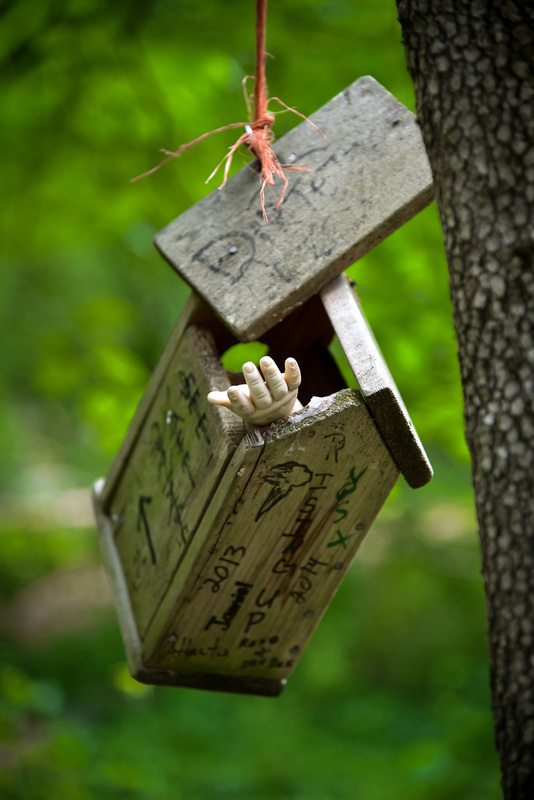 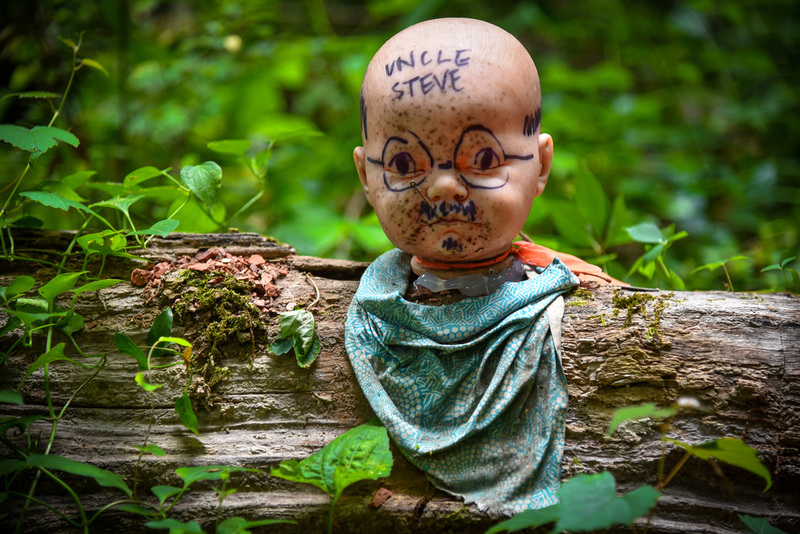 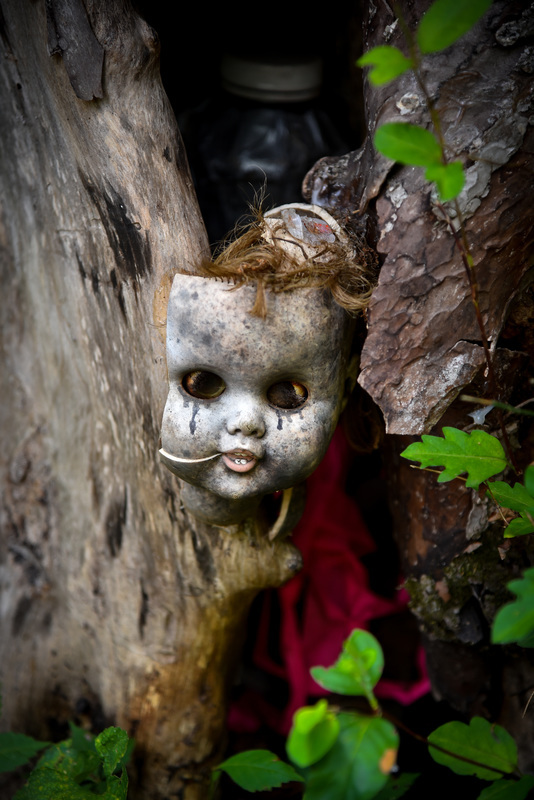 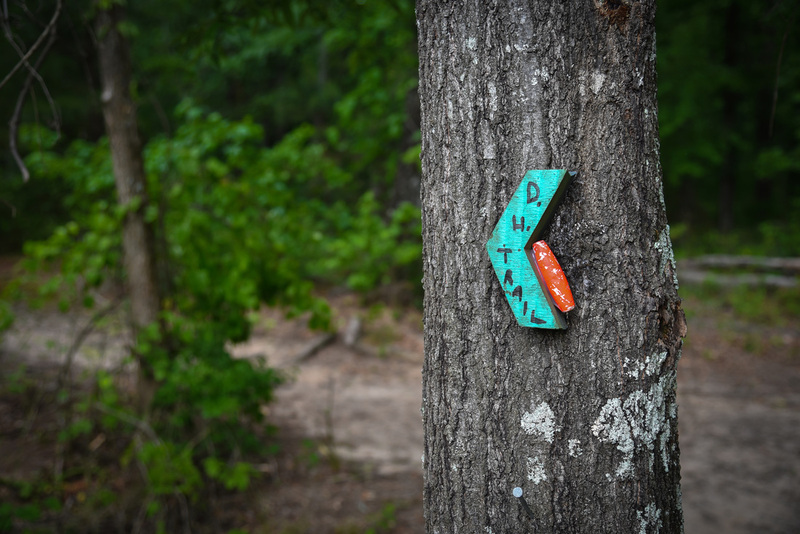 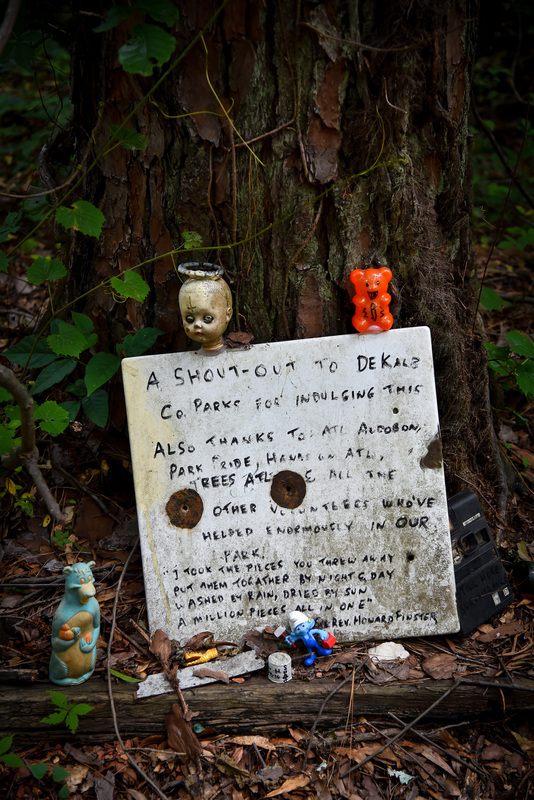 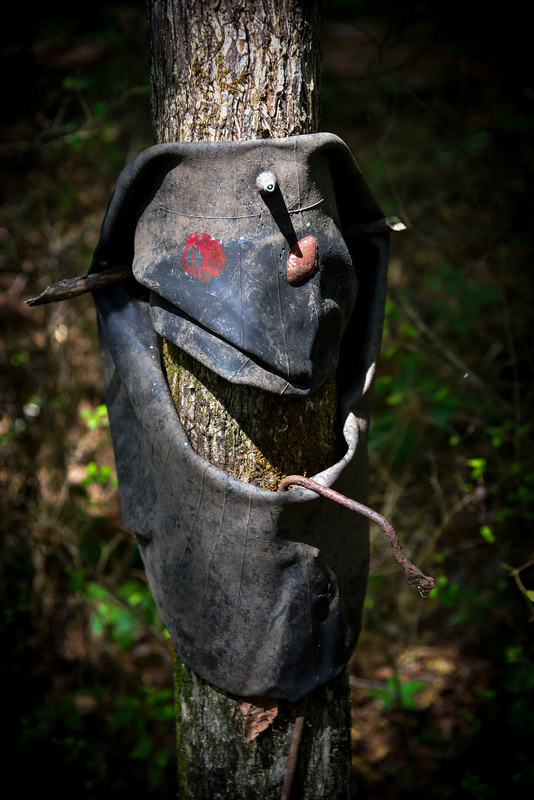 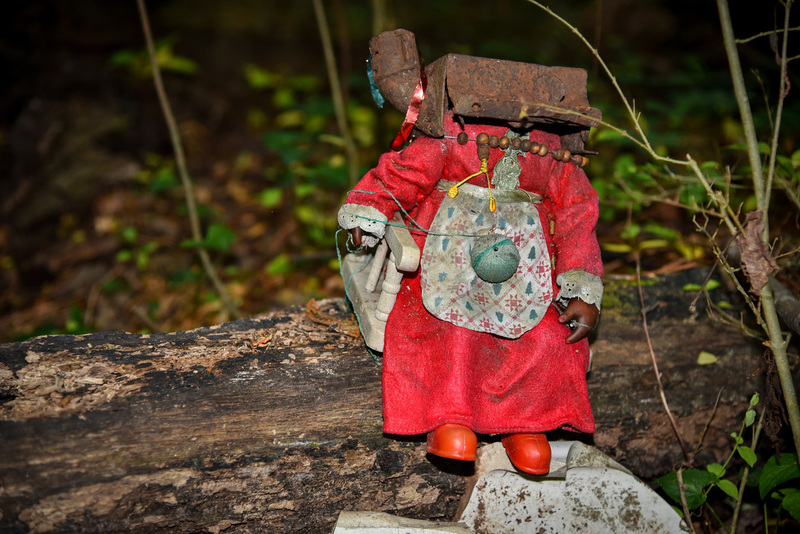 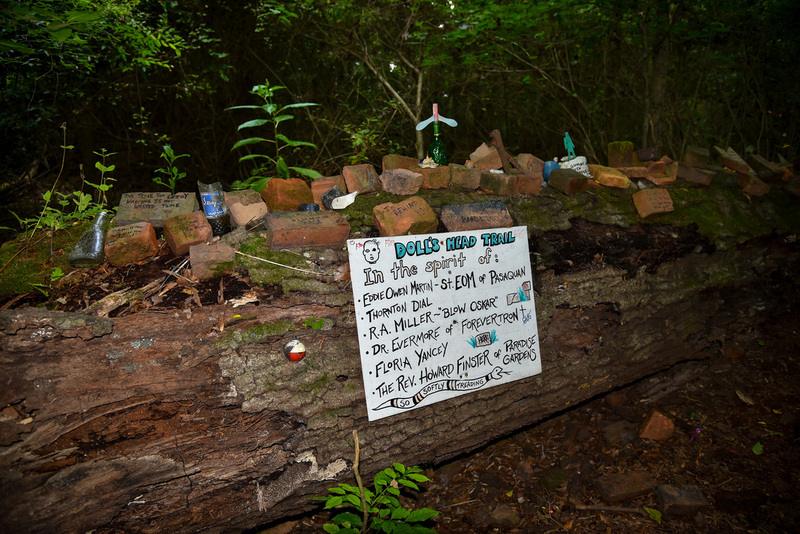 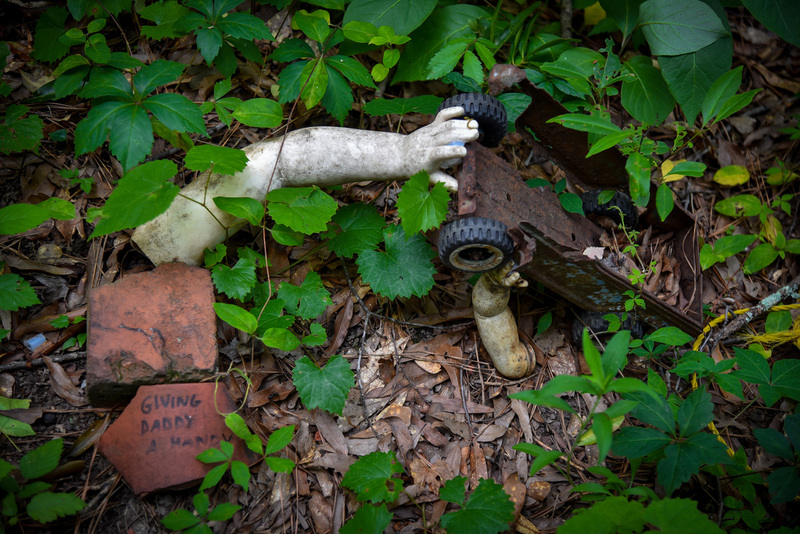 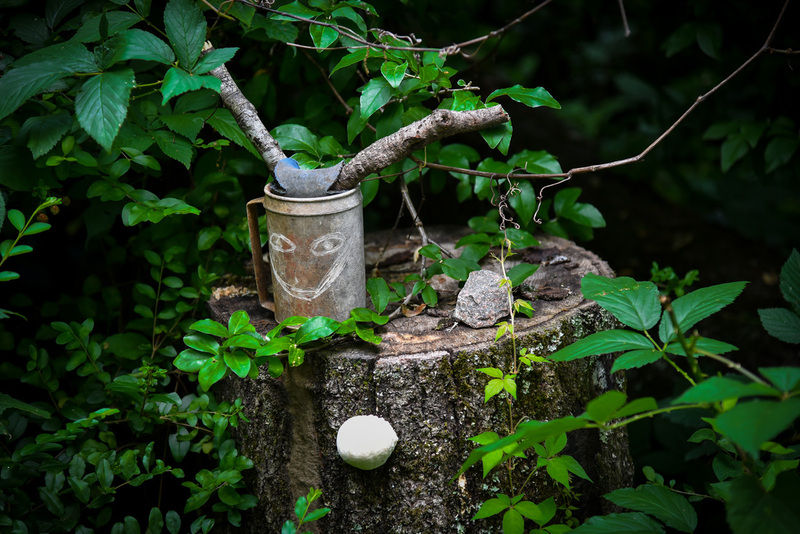 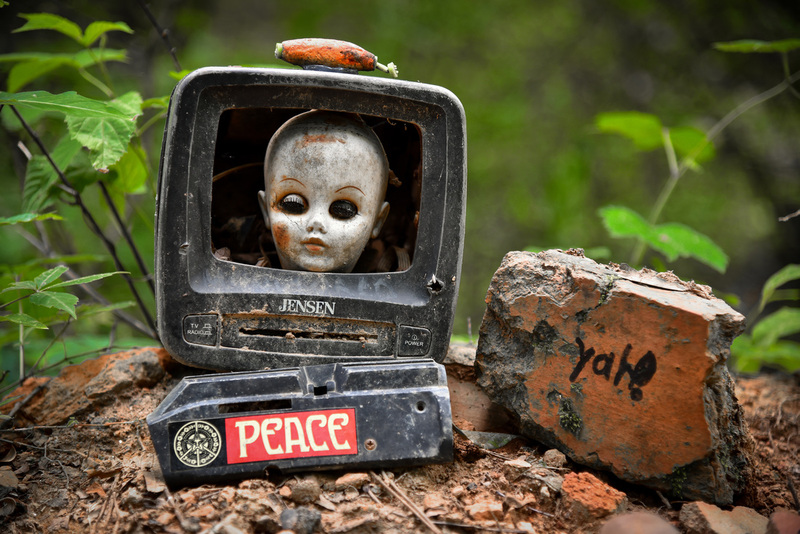 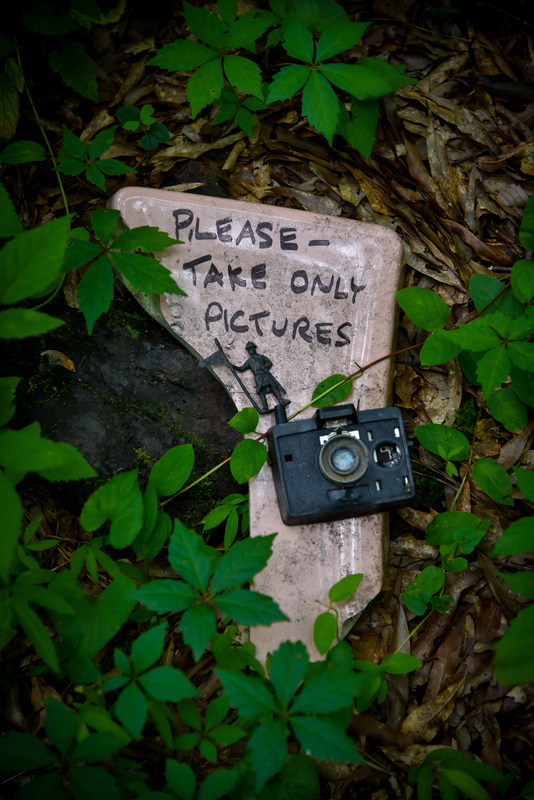 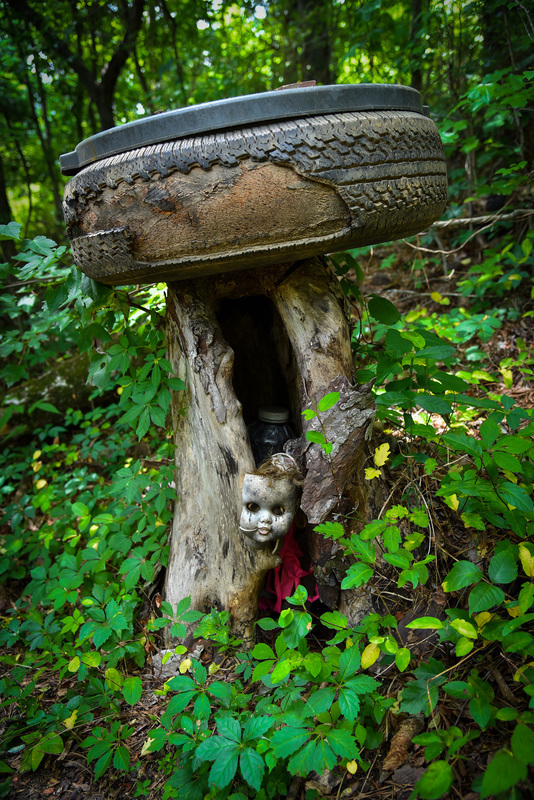 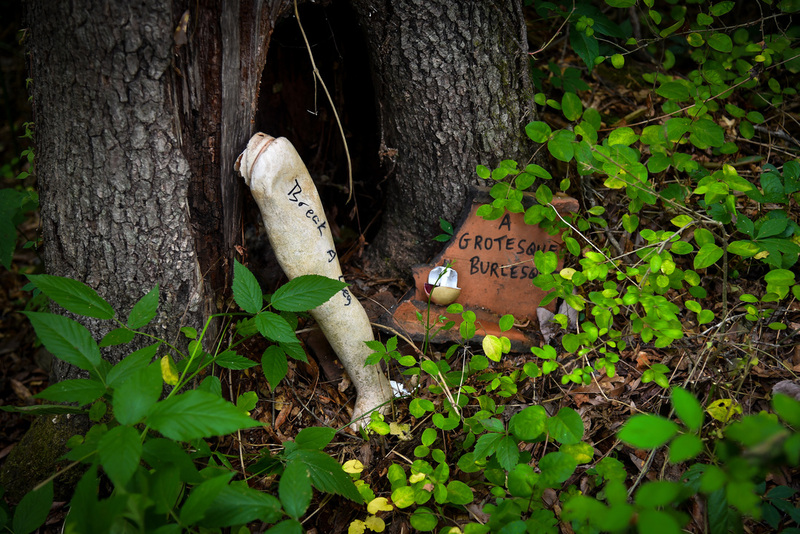 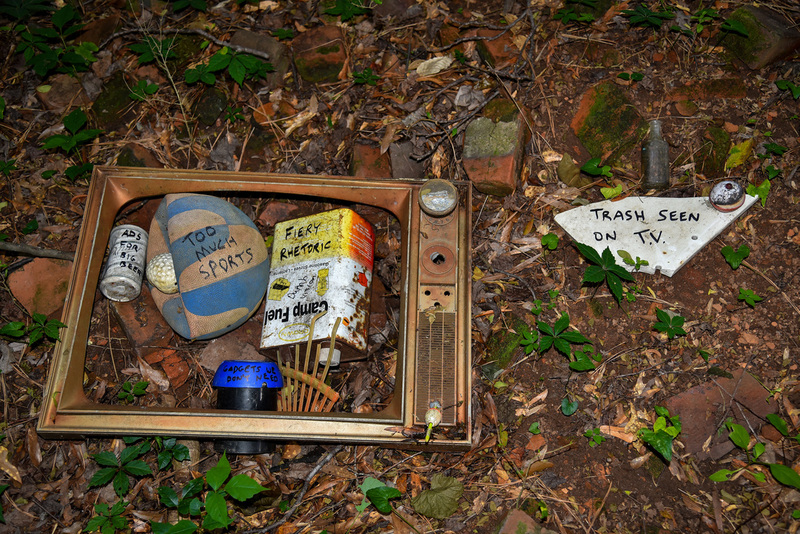 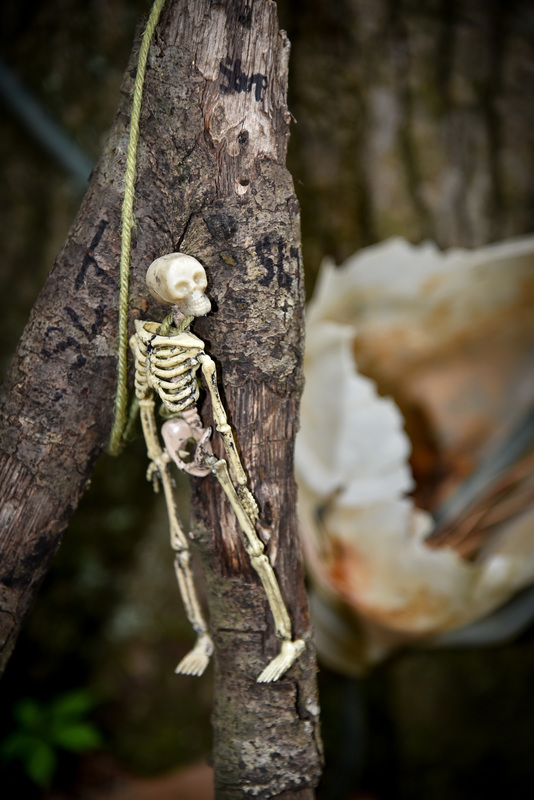 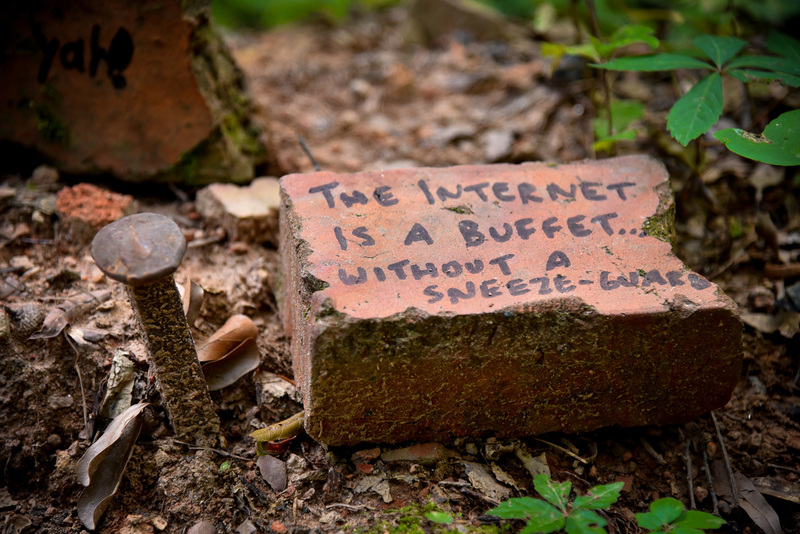 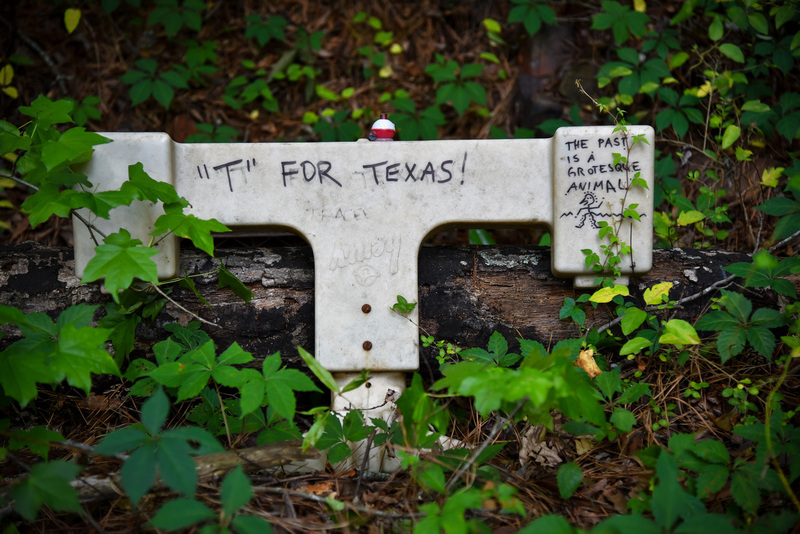 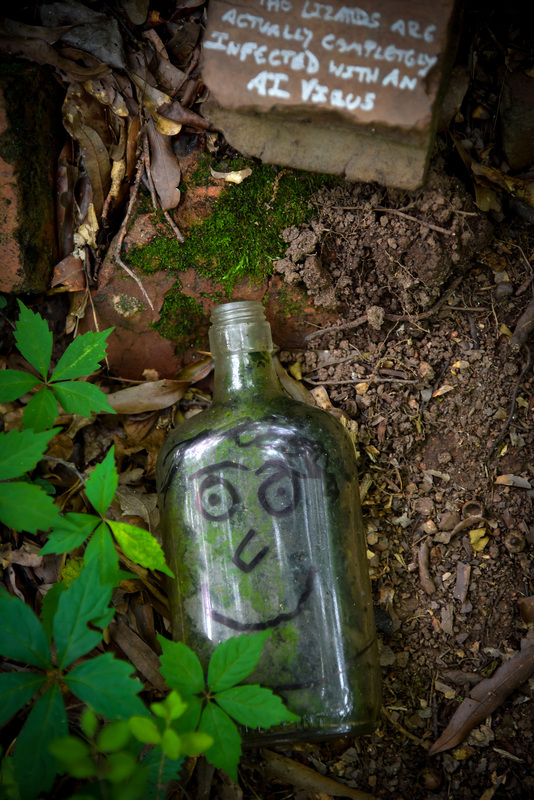 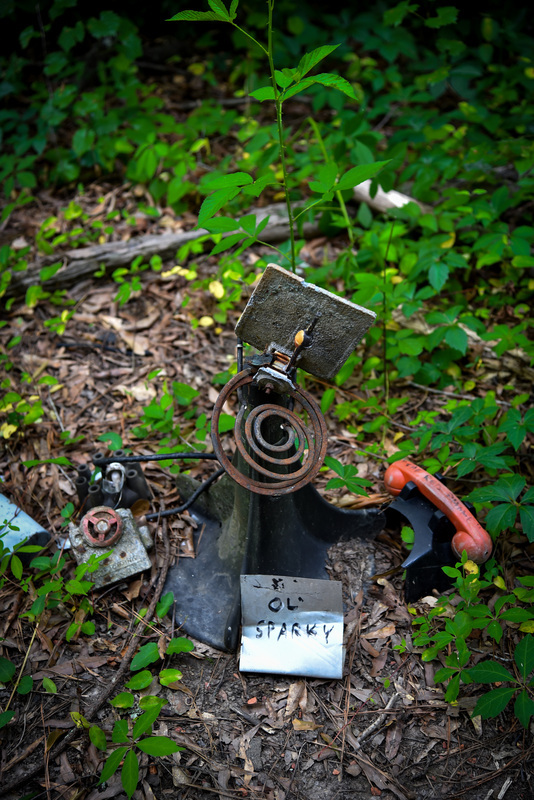 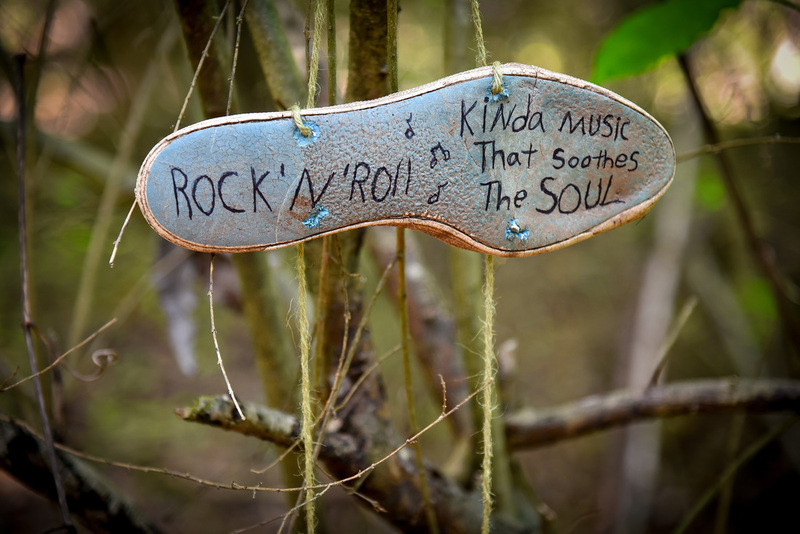 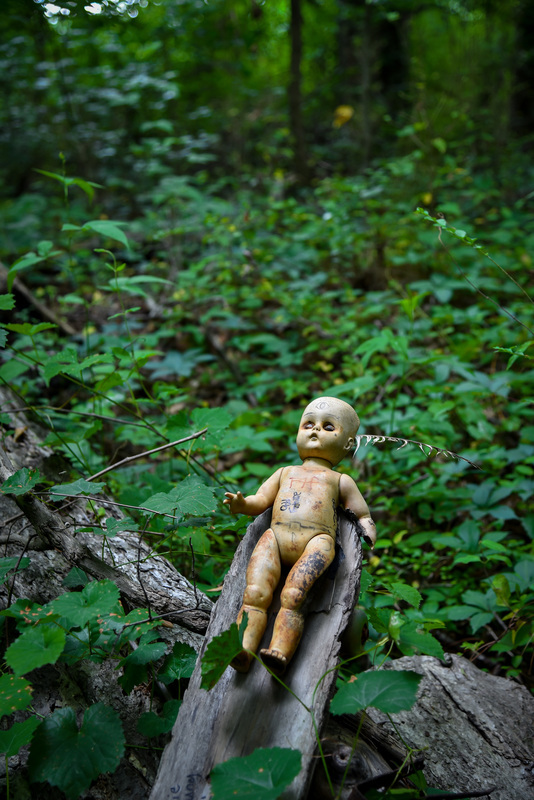 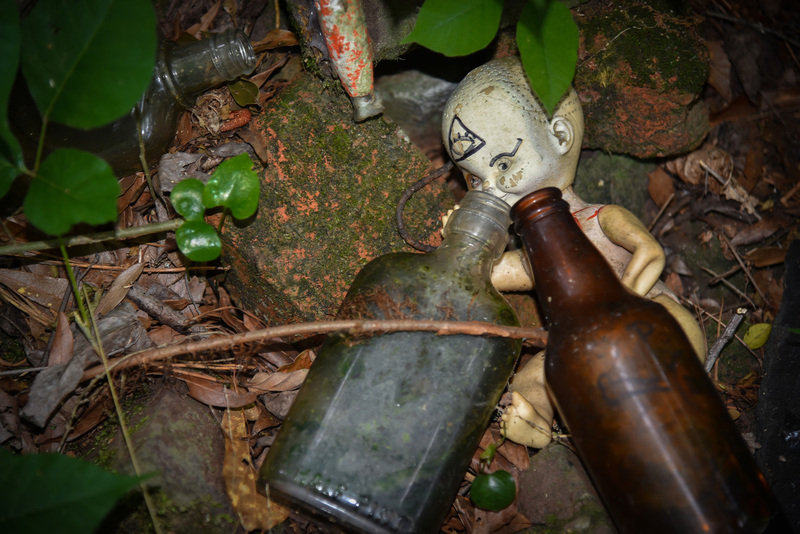 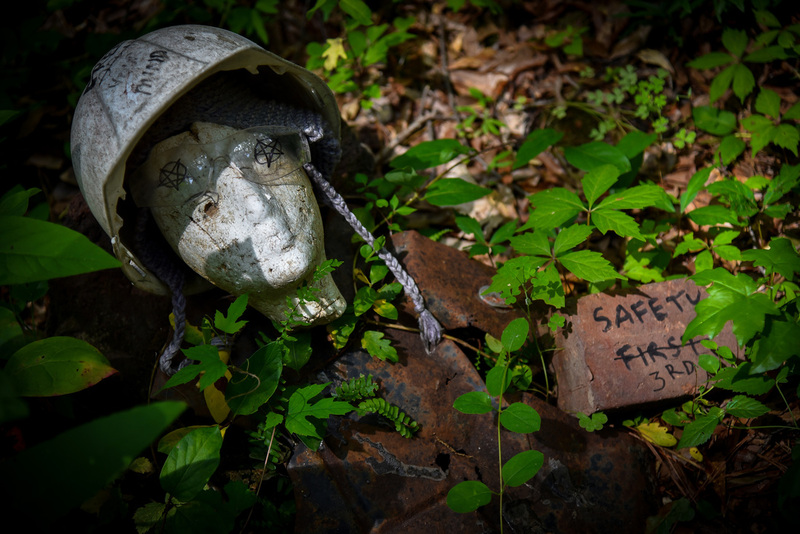 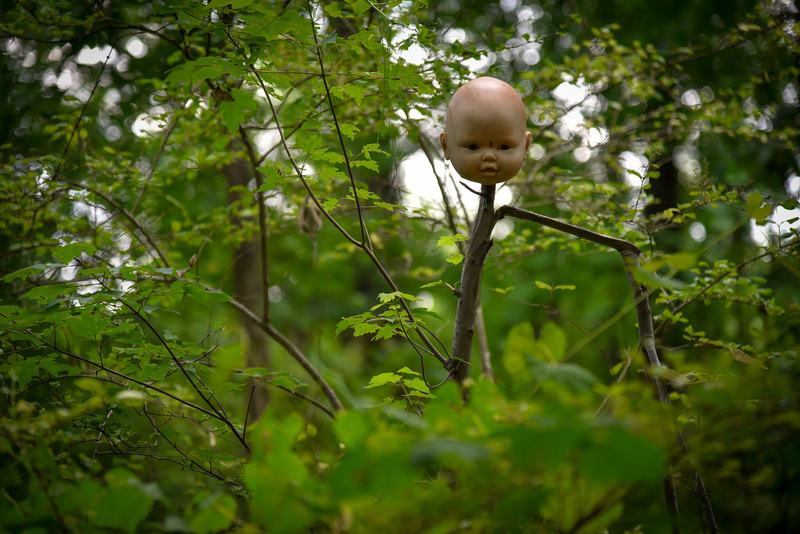 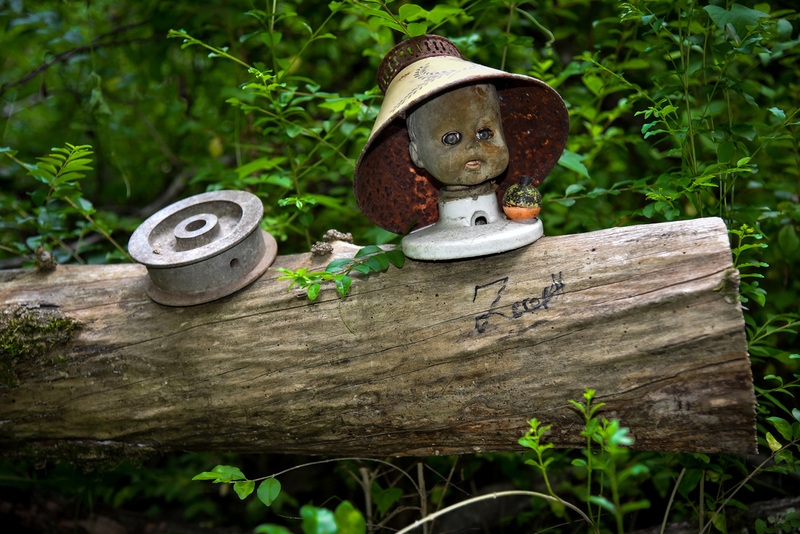 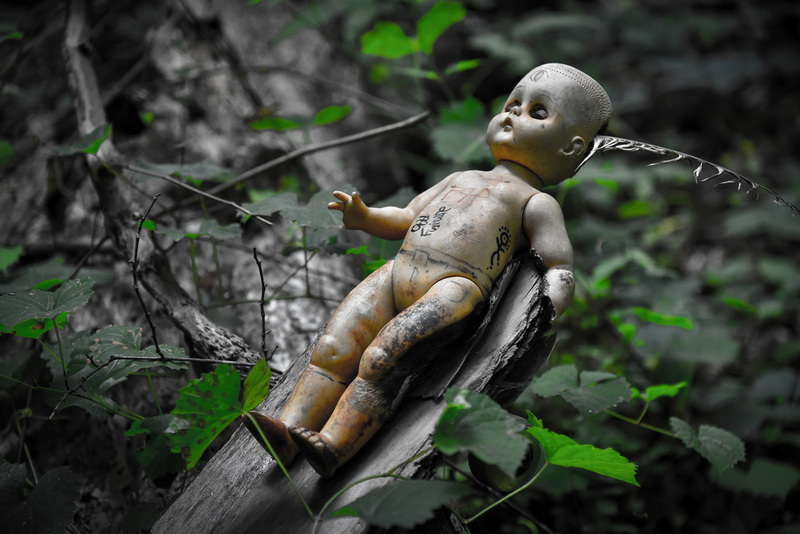 Located just south of Atlanta, Doll's Head Trail was the work of a local carpenter named Joel Slaton, who envisioned an art project created from discarded doll parts and other trash that was scattered around what is now known as Constitution Lakes Park. 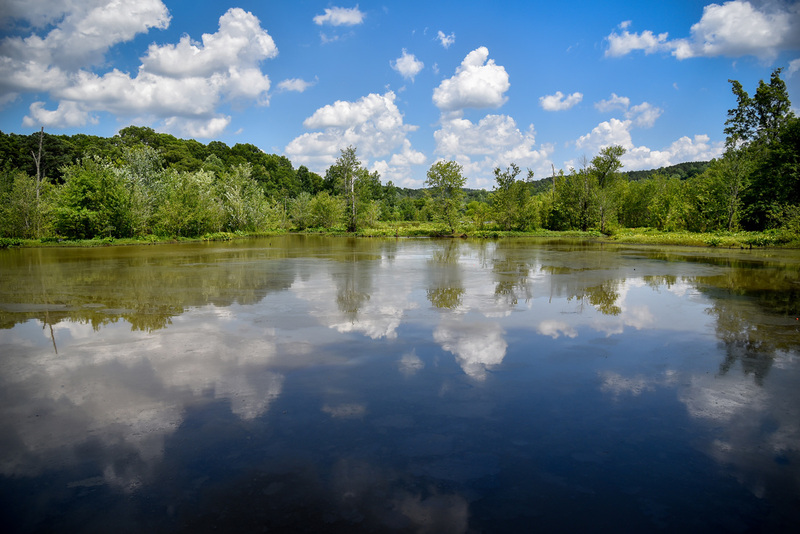 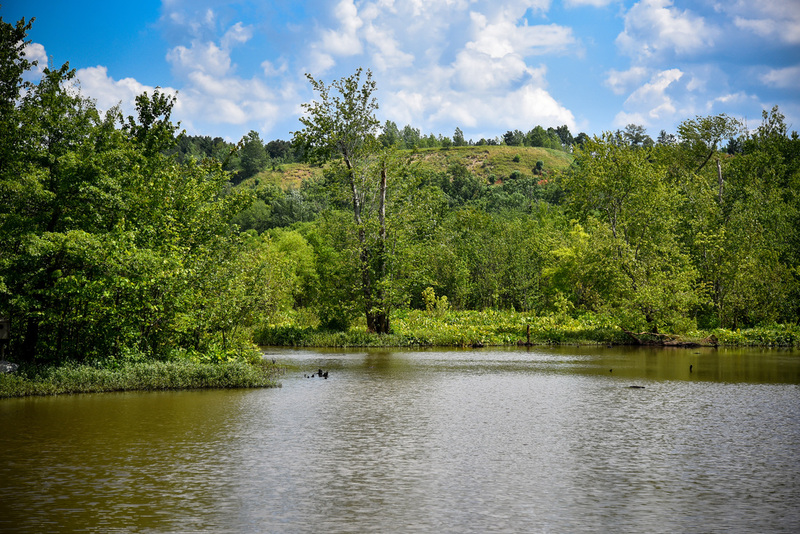 Part wildlife refuge, part hiking trail, and part art exhibit, the land has been transformed by both humans and the flooding South River into an ecological sanctuary. 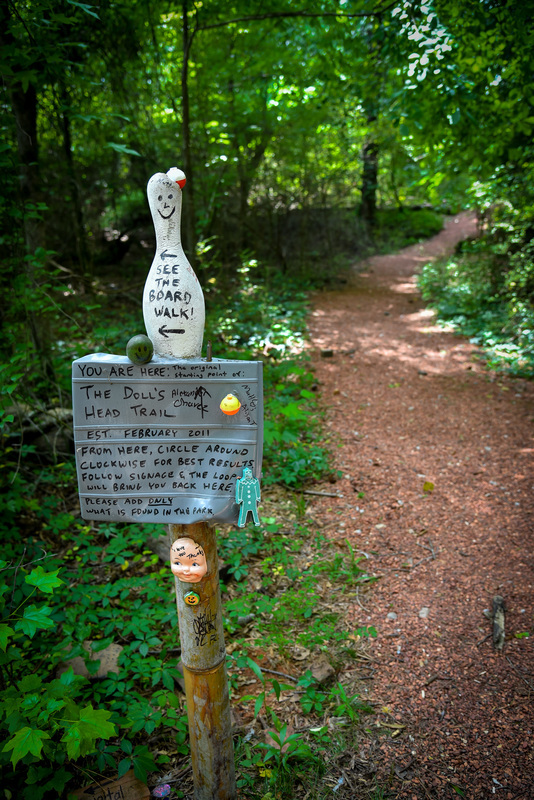 Once the site of a brickyard, DeKalb County bought the property in 2003 and added a paved walkway and a boardwalk around one side of the lakes. 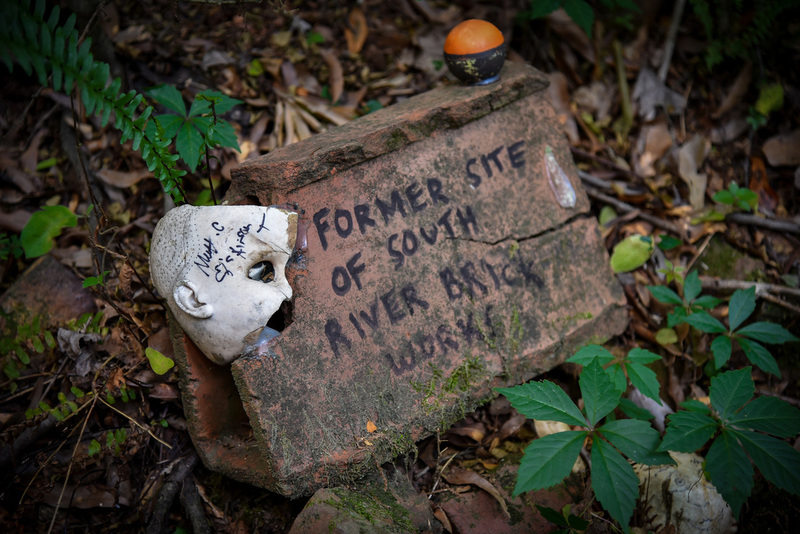 The brickyard shut down nearly 50 years ago, and the lakes were created when water filled the clay excavation pits. 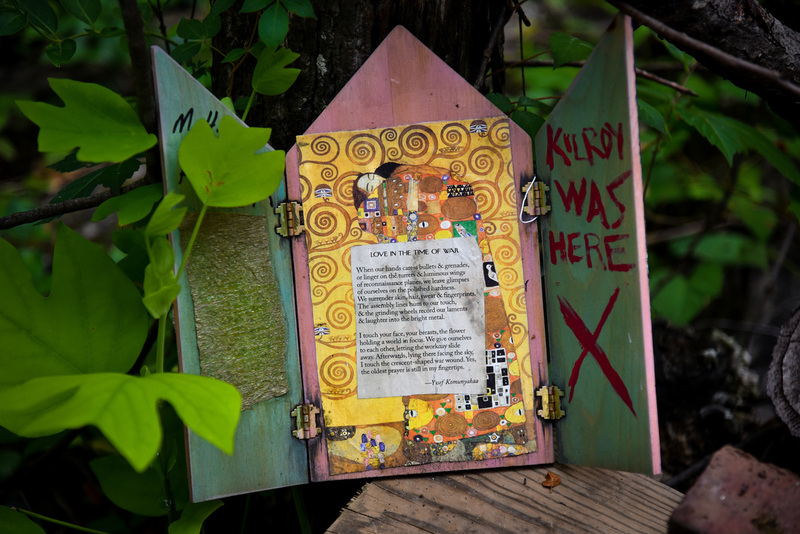 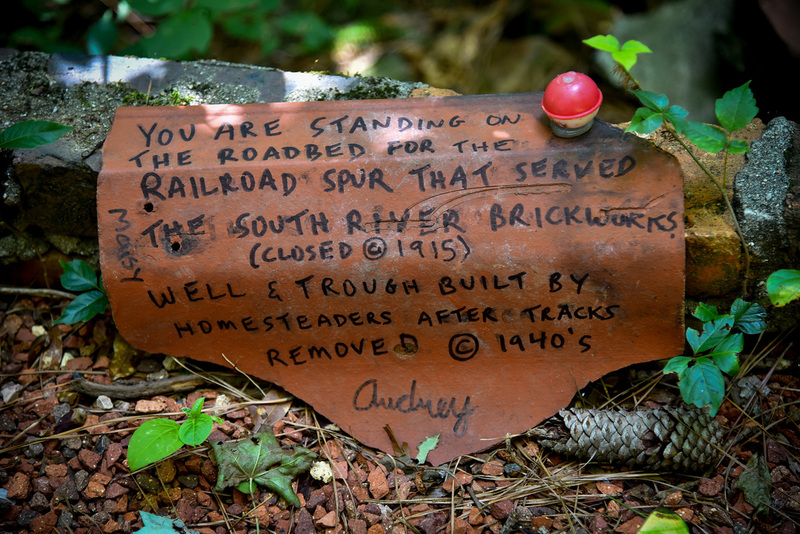 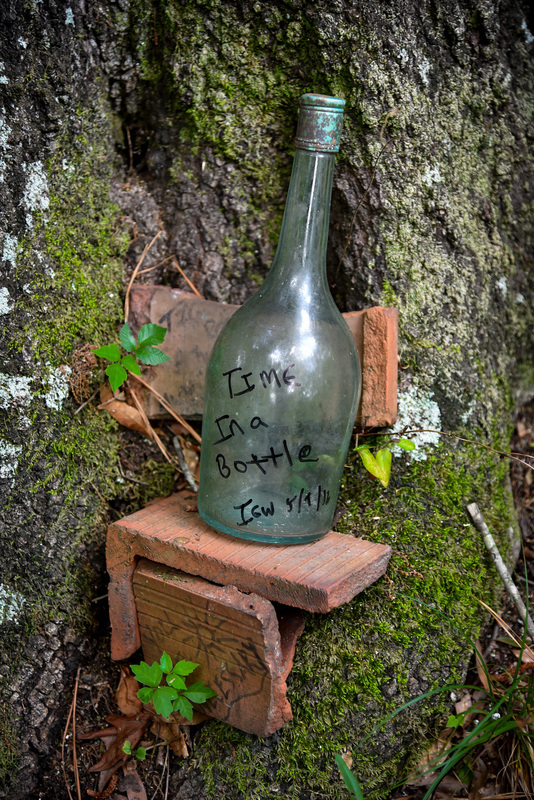 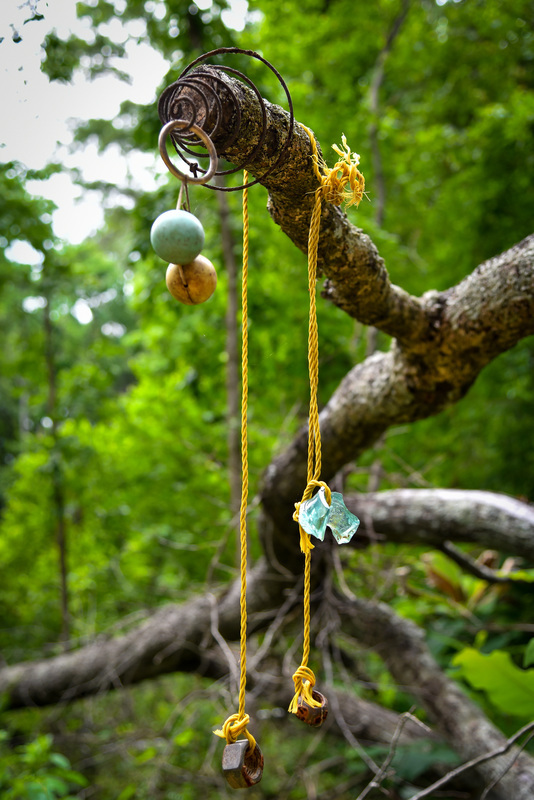 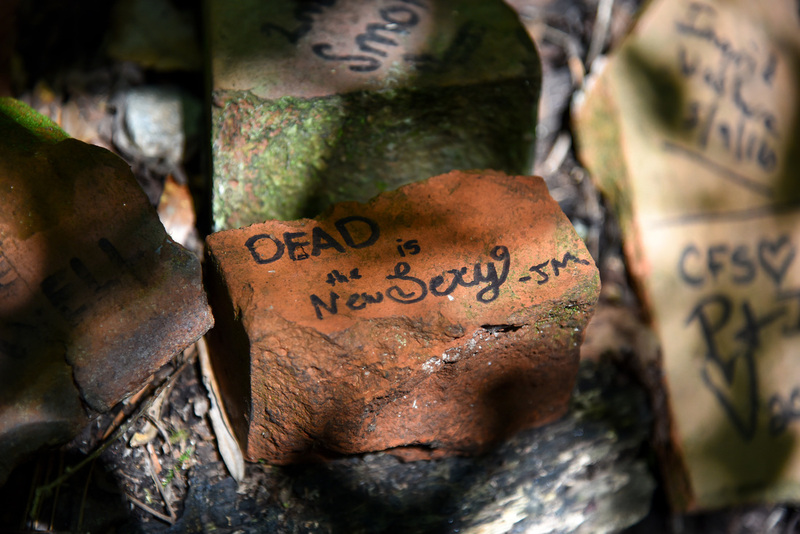 In 2011, park regulars began constructing art pieces along a section of trail with items found only at Constitution Lakes. 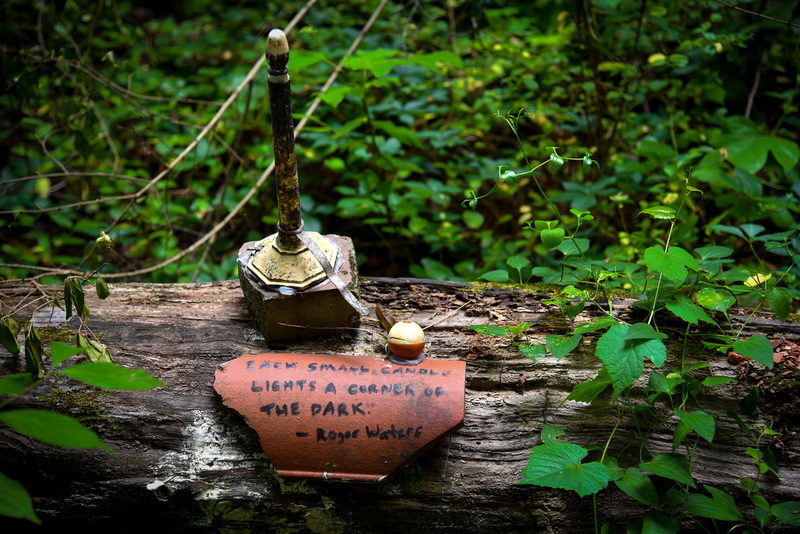 Visitors are encouraged to add to the exhibit as long as they abide by the rule: Only use pieces found in the park.lit.